On November 4, 1992, an El Al cargo plane crashed into the residential neighborhood of Bijlmer in the southeastern section of Amsterdam. Bijlmer, a compound of high-rise tenements built in the 1960s, had become one of the city’s most notorious slums. Two of the dozens of tenements were destroyed, and about 40 people were killed. But as fate sometimes would have it, the disaster led to something new: Amsterdam decided to rehabilitate the neighborhood, and to address physical and social problems that had afflicted the project almost from the start. It is today the largest urban-renewal project in Holland, one that has been undertaken primarily with an eye to social-welfare considerations. It is considered a success on a global scale. Bijlmer is a test case of “soft” urban renewal, as described by Israeli architect Yael Padan in a newly published report of the NGO Bimkom – Planners for Planning Rights. At present, says Padan, the coordinator of the organization’s urbanism and social justice unit, urban renewal in Israel aims primarily to increase the supply of apartments, and is motivated solely by economic expediency and profitability in terms of real estate and property values. Profitability and expediency are the principal reasons that most housing-renewal projects today are of the raze-and-rebuild type – that is, involving the demolition of old structures, particularly in low-income neighborhoods, and rebuilding aimed at increasing the number of housing units considerably, based on maximized profit. The Bijlmer case shows that an alternative approach is feasible. The urban renewal project in the Dutch neighborhood – home to some 100,000 people from 150 different ethnic groups – combines social and economic visions, physical rehabilitation and concern for the local population, most of whom have been able to remain in Bijlmer. The project is based on the tenants’ full cooperation in planning issues, and on rehabilitation of existing structures and ways of life, with demolition kept to a minimum. The scheme combines high- and low-rise construction, along with housing units of different sizes to meet the tenants’ needs and economic wherewithal. Beyond the structural part of the project, there is cultivation of open spaces for the residents’ benefit, and creation of public transportation to connect the neighborhood with downtown Amsterdam. 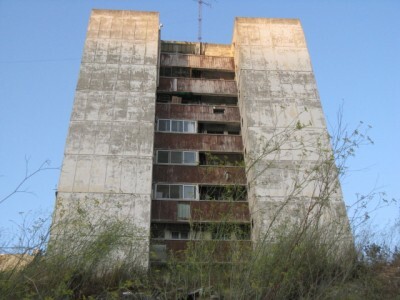 Bimkom recommends adopting this approach in Israel, including ensuring the rights of occupants who do not own their homes so they may continue to live there, cooperation between the local government – which will ultimately be responsible for planning – and the housing associations that are in charge of renovation and rebuilding. In Holland, such housing associations are a contemporary version of the tenants’ associations in Israeli cooperative-housing projects from the 1950s, whose success is still evident even decades later. In the current era of privatization, such groups in Holland are also active in the open market. They are permitted to build or to rent apartments, but are obliged to reinvest their profits in the housing market. The Israeli NGO’s report recommends the creation of such organizations locally, too, with the aid of public funding, in order to reduce the exclusive emphasis on profitability considerations. In light of the Bijlmer example and test cases in other Western countries, including some that are no longer welfare states, the report also recommends conducting a survey of housing needs at both the local and national levels. In addition, an inventory must be taken of existing housing units so as to prevent the creation of “bubbles” of demand and to avoid construction on new or undeveloped land. Another recommendation is to conduct a survey of the socioeconomic situation and the needs and wishes of the residents in neighborhoods slated for renewal, and a review of the social effects of such schemes on existing populations. The report also demands that tenants have a say in the choice of the renewal track appropriate for them, and that they also be informed in full about the implications of the planned project. Bimkom is convinced of the need to adopt its recommendations but also realistic enough to know that there is a long way to go before that happens, if it ever does. Accordingly, it has also come up with a series of practical recommendations that can be implemented even under the present conditions. These include offering tenants loans and other incentives to renovate and expand existing buildings, and reducing or eliminating altogether the cost of available land for construction in return for renovation of standing structures. The basic assumption is that even if a comprehensive overhaul in policy is not on the cards, “it is nevertheless possible to improve the existing possibilities of urban renewal” by making them friendlier to residents, reducing the upward trajectory of housing prices and the thrust toward gentrification, and enhancing the communal and social success of such efforts. Bimkom’s report is accompanied by a guide for the perplexed tenant in a raze-and-rebuild project, which analyzes the advantages and disadvantages, sets forth alternatives and offers a series of eye-opening guidelines in a personal questionnaire format. Questions asked include: Am I satisfied with the present state of my apartment? What about the social situation and the relations between the neighbors? Will I be able to afford the maintenance and property-tax costs in the new building? Was I informed about alternative urban renewal options in the neighborhood? Would I support an alternative project, such as renovating the existing building, expanding the apartments and upgrading infrastructure? Renewal is today a central element in residential construction in cities, and can offer a fitting response to plans for construction in new areas and to high housing costs. It can strengthen urban centers and veteran neighborhoods and improve living conditions while providing suitable housing alternatives for populations from different economic and social strata. In a wild market economy such as exists in Israel at present, urban renewal typically leads to higher housing costs and gentrification. The report of the Bimkom NGO reorders priorities, strikes a balance amid the totality of considerations, and injects the element of commitment and responsibility to the society and its surroundings into the DNA of housing economics. The group’s report will be presented to the decision-makers in Israel – whether on the national, regional or municipale level – and then it will be their turn to take action. This entry was posted in What's New and tagged Bimkom, pinui-binui, Planning, raze-and-rebuild, Social Impact Study, Urban Planning, Urban Renewal. Bookmark the permalink.